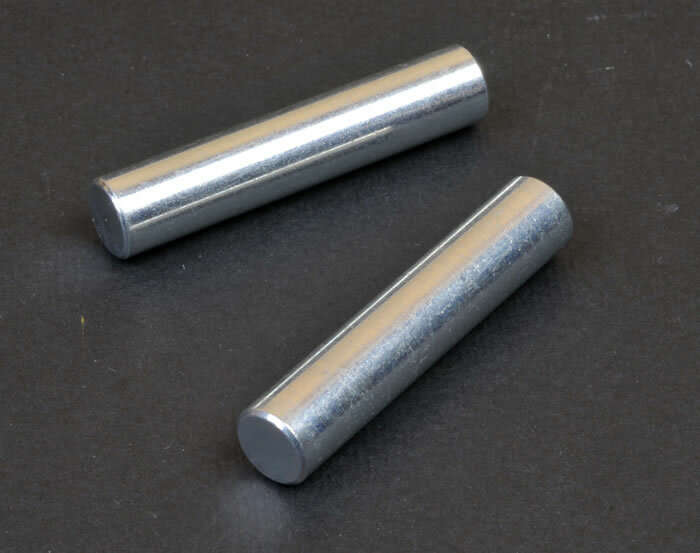 Advantages: Accurate in shape, excellent link and length tracks, crisp detail, logical build steps, easy to build, low parts count. Recommendation: This is a very well done addition and I have no hesitation in recommending both the kit and the Zimmerit sheet. 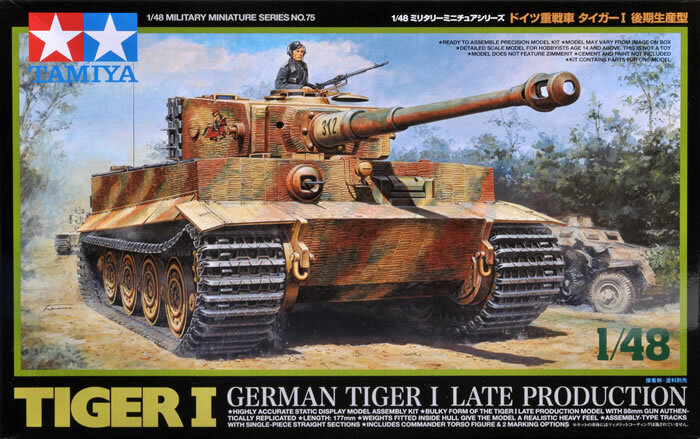 This new 1/48 scale Tamiya kit of the venerable Tiger I represent the late production type with steel road wheels. It follows on from one of the first in the Tamiya 1/48 series and this rendition is by and large is an improvement on those early releases. 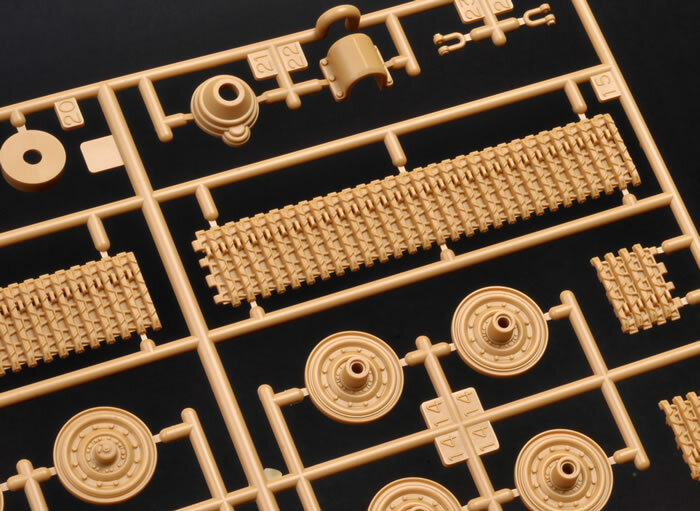 The kit consists of 197 parts in sand plastic. The moulding is first class, with no cleanup needed except for a few fine mould seams. The detail is so fine in places it defies belief. 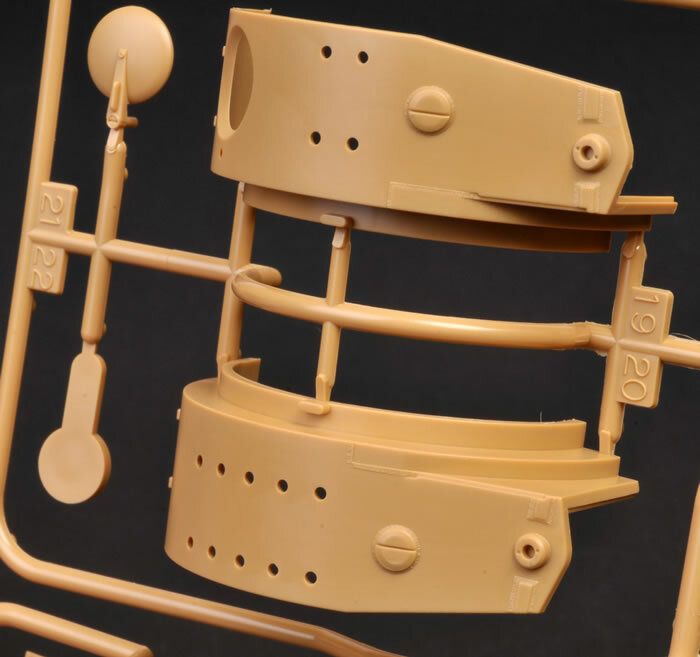 The lower hull is a one piece plastic (yes plastic!) affair, onto which the suspension is attached. 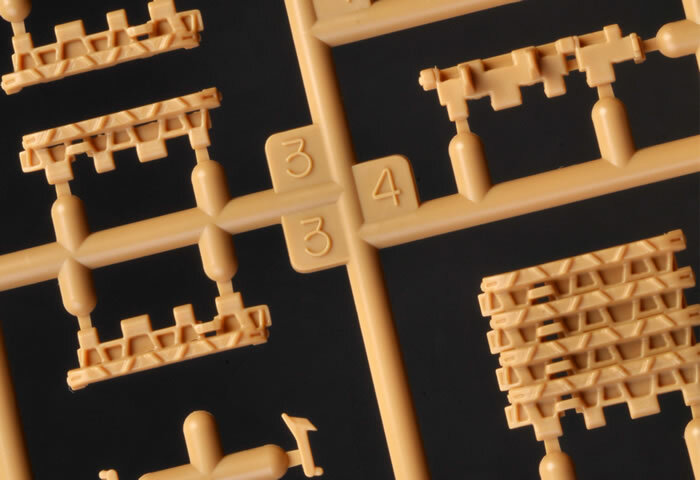 The large upper hull moulding comes in six parts which thankfully go together very well. The turret has been modified with a late cuploa integrated onto the turret roof. 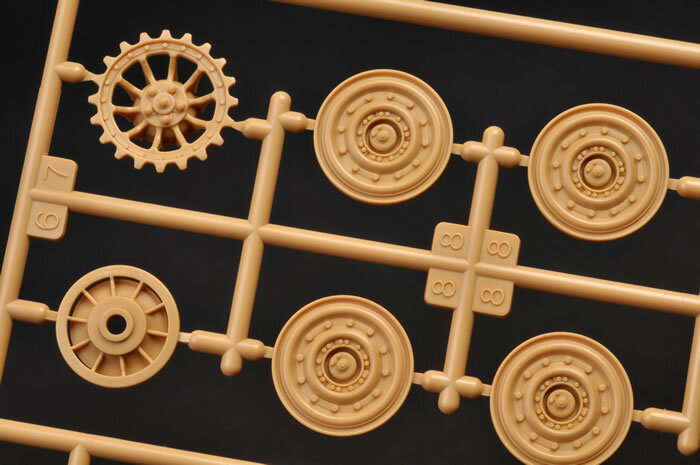 Two marking choices are provided with the first being “313” from the 505th Panzer Battalion in sand and brown and the second being “211” from the 101st Panzer Battalion in a three-colour spaghetti scheme. Comparisons between this kit and the Skybow/AFV example are inevitable. 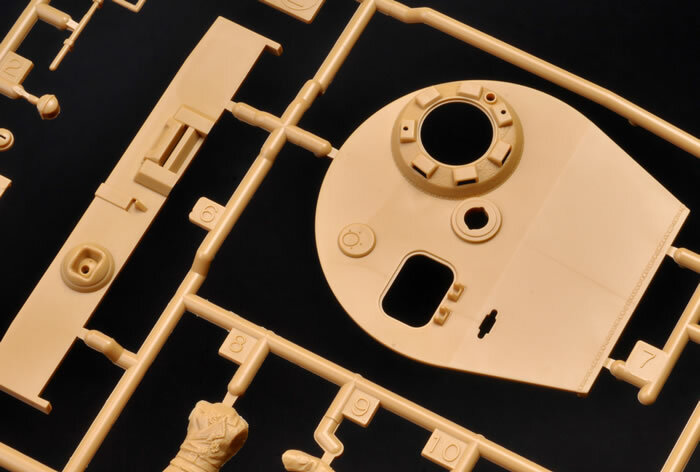 This new Tamiya kit is, at first glance, not as detailed or as complex as the Skybow/AFV kit. For example the tracks are better in the Tamiya kit but everything else runs in at second place. 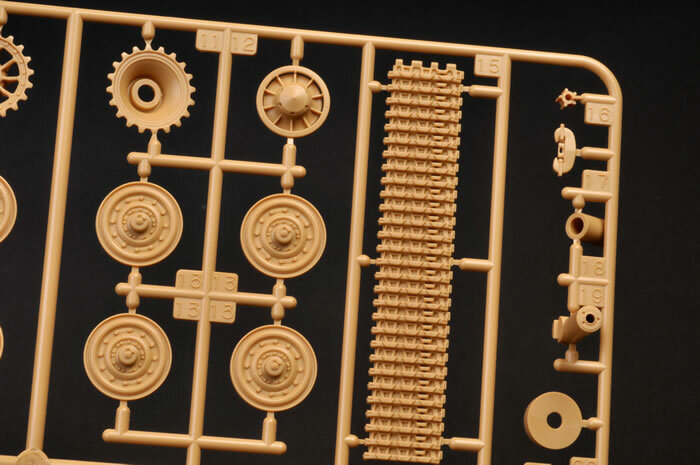 The great strength of the Tamiya kit, however, is its ease of assembly and presentation. Even the most novice modeller could build the Tamiya kit in hours where the same certainly cannot be said for the Skybow/AFV kit. 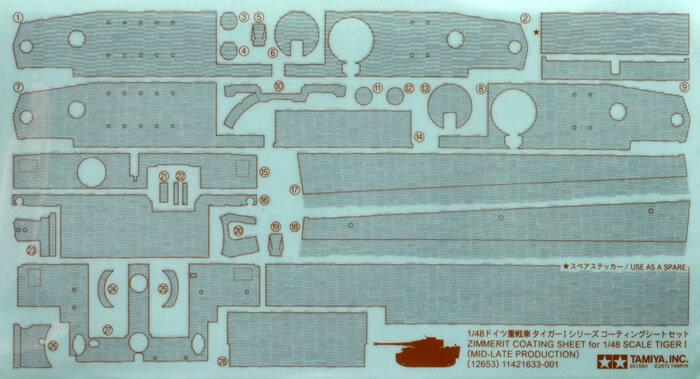 The Tamiya kit has been designed for a separate Zimmerit sheet (item 12653 with both fine and course turret finishes) where the Skybow/AFV kit has it already moulded on (although only as the finer rendition on the turret). So in reality the choice comes down to build speed. 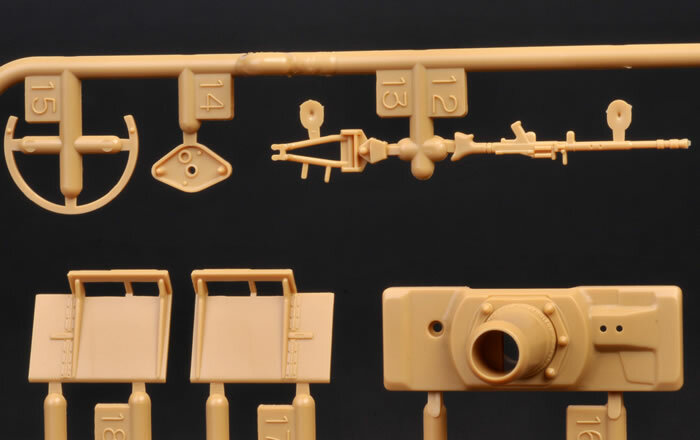 I quite like the separate Zimmerit sheet provided as a separate “detail up” option aside, from having the two variations of Zimmerit on the turret it has a nice “scale like” texture to it as well. 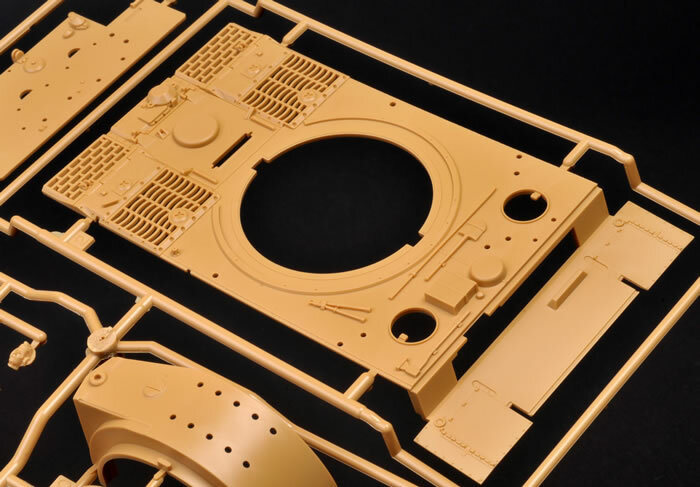 The Zimmerit is printed on one sheet and it’s left up to the modeller to cut out the various shapes out and then stick then onto the donor model. 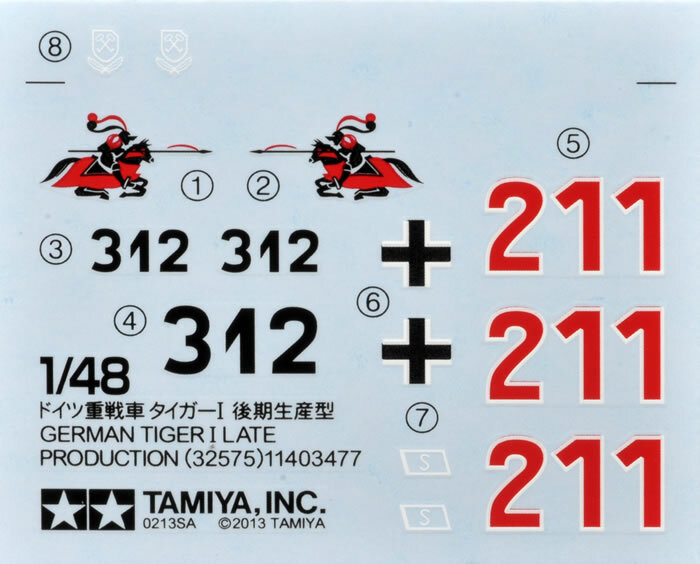 From the look of Tamiya’s instructions, it looks like one a future plastic kit from the may well be a “Mid” variation of the Tiger I, which would make perfect sense. Overall this is a very well done addition and I have no hesitation in recommending both the kit and the Zimmerit sheet.